As a quick follow up to its recent reveal, we now take look at the official images for this month’s Cav Empt x Nike Air Max 95 release. The Japanese-based label gets its hands on the classic Air Max model and delivers two colorway choices – “Blackened Blue” and white. 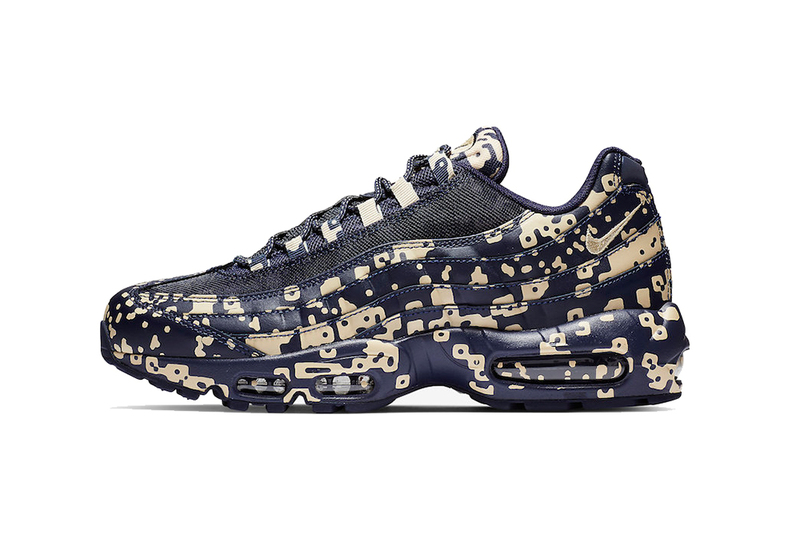 Each upper is covered in a digital camouflage pattern, even found on the pair’s visible Air Max units. Each iteration’s pattern contrasts its base as tan is pair with navy and black with white, respectively. Along with speckled laces, the collaborative offering welcomes co-branding in the form of Cav Empt’s C.E. insignia joining the tongue’s Nike Swoosh. The Cav Empt x Nike Air Max 95 in “Blackened Blue” and “White” arrives on January 10 for $200 USD each at select Nike Sportswear retailers in as well a Nike SNKRS. In related news, Nike fans who gravitate towards the Swoosh’s archive can take a look at the upcoming Air Huarache Trainer.